Definition: Devices, or mechanisms knows as applications in which helical coil compression springs operate to complete a task for the application to work as expected. One would never think of all the applications in which a compression spring is needed. 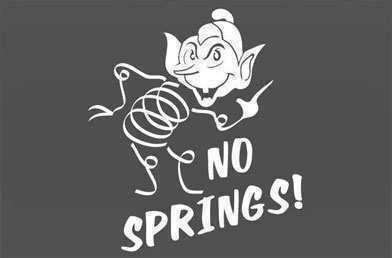 Springs are one of the oldest and brightest inventions in history. The coils in a compression spring have pitch in between them and the components or dimensions of the spring, along with the manufacturing process involved behind the spring, allow for the coils to have memory and return to its original form when it has been compressed or been “forced out of shape”. A great example of some compression spring applications is shown in the short film, “A Case of Spring Fever”, which came out in the 1940’s. The films shows what would happen in a world without springs and how essential they are in our everyday life as we know it today. The several applications or devices in which compression springs are found are couches, locks, pens, pogo sticks, lighters, and many more. At Acxess Spring, we can manufacture springs for all of these devices as long as you have the spring dimensions. Our site is covered in how-to-measure diagrams which you may use to assist you in measuring the compression spring for your application. We also provide you with our compression spring calculations tool where you may design your compression spring based on the parameters of your application as well as the load and travel requirements it will be meant to complete. Make sure the solid height isn’t larger than your desired loaded height. Spring Creator is now mobile as well. 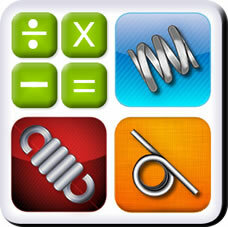 Download our compression spring calculator app on your tablets and smart phones. It is available both android and iOS systems. Our Spring Creator app will complete all the tasks our PC version is able to achieve. Download the app by clicking on the links below. Click on the image to watch "A Case of Spring Fever"